As sure as April heralds the arrival of spring showers and Easter eggs, it also brings the mass migration of the cyclists of Europe – predominantly those of the UK and Germany – to Mallorca. Log in to Strava at any time in April, and you’re almost guaranteed to see one of your mates out in the Ballearic island, posting Sa Calobra selfies and getting excitable about the ride out to the Lighthouse. I struggle to share this enthusiasm. I’ve taken the bike to Mallorca once. It was OK. However, I’ve ridden in mainland Spain three times, just a few hundred kilometres away from that tiny MAMIL sanctuary in the sea, and it’s brilliant..
What follows is a plea to you all to remember: SPAIN IS NOT AN ISLAND. OK, so first things first, I admit – Mallorca is an ideal place to ride a bike, with stunning coastlines, smooth roads, beautiful mountains, and leafy lanes. You land at the airport to be greeted by Rapha advertising in the airport lounge, you’re surrounded by (mostly) like minded cyclists, and wherever you look, there’s a bike shop, cyclist-friendly café, or, well another cyclist. But therein lies my very issue with the place. My lasting impression of Mallorca is of clutter. Mess. Things everywhere. Past 11am, the narrow roads are more or less FILLED with unruly bunches of other riders, and huge tourist coaches bussing cocktail sipping pensioners from the coast across the Tramuntana mountains, or to the historic monasteries in the centre of the island. Safe to say, 50 seater busses and unruly groups of riders spread wide across the road, full of adrenaline and awe at their location, do not mix well. As such, riders of varying ability end up either holding up the busses, or engaging in somewhat death-defying maneuvers to overtake the behemoths. On some of the island’s smallest roads, the congestion took me back to my days commuting on my battered single speed through North London. I’ll concede a little – I visited Mallorca in mid-April – peak tourist season for both those on and off the bike, and so this may be a phenomenon totally absent out of the main seasons. As an early bird, I tried to avoid the carnage by getting out on the road early, before 8am, to enjoy a few hours of tranquillity before the rush hour hit, and it was a pleasure. However, to be forced out of bed early on what is essentially a holiday (though we like to inflate them in our minds to that of a ‘training camp’) is a bit of a chore, and can mean missing hotel breafasts and cobbling together provisions in apartments. A huge issue for me with Mallorca – and one that you cannot change by rising early or going outside of peak season – is the road structure. Log into Strava at any point between March and May, and you’re almost guaranteed to see the giveaway sausage shape of the Mallorca MAMIL pilgrimage …. Pollenca – Orient – Soller – Puig – Sa Calobra etc etc. Or maybe the little squiggly out and back to the Lighthouse and back. It seems to me, that if you stay in the ever-popular North East of the Island, perhaps in Puerto Pollenca or Alcudia, the sparse road network of the Island just doesn’t give you the options to vary your routes, to find new lanes and explore hidden tracks. You have no choice but to ride the same routes and roads again and again. Dom’t get me started on how much I came to despise that drag from Puerto Pollenca to the Mountains (the MA220-MA10), a purgatorial false flat that grips at the legs on the way up, out to the mountains, and is typicaly nullified by a headwind in those tired final kilometres of riding back to your accommodation on the coast. Again, I’ll concede a little; perhaps staying elsewhere – maybe Soller – or on the outskirts of Palma, would be a different story. From here, the options seem more varied. But I do wonder why more don’t take this approach, is there a blocker to this? Perhaps there’s good reason for avoiding these areas. Overall, however, I feel that I’m missing something. What is the eternal draw to the North West, to those tiny coastal towns that have become the Benidorm of cycling. Mallorca is like an instiution. For those that ‘get’ it, they return, brainwashed into compliance. Perhaps for these people, an island all too perfectly set up for cycling, where tour groups make life simple, and you’re guaranteed to be amongst like-mnded souls there’s a sense of security and safety. I am surprised by how many riders I meet, even experienced grown up men, who fear riding alone on unknown roads even in their local county, let alone in an unknown island, and perhaps Mallorca provides them a sense of comfort. However, think back to when you were a kid, riding your first proper bike in the fresh air, enlivened by the freedom from parents, the freedom of exploration of the unknown. Does this initial instinct, a desire for exploration, solitude, discovery, not pull the heartstrings? People need to remember; SPAIN IS NOT AN ISLAND. I urge you to look beyond Mallorca. Consider what is only a few hundred kilometres over the Mediterranean; the southern regions of Spain, the unkempt beauty of Andalucia, Murcia and Valecia. Other than the Pyrenees – an area that I have developed an almost unnatural fervour for – I can think of no better place to ride a bike. If you discount the relatively segregated coastal monstrosities such as Benidorm and Malaga, it’s an incredible place, totally unblighted by tourism of both the cycling or sunbathing kind. Although there mst certainly are training camps and cocktail sipping pensioners jumping on budget flights over to Aicante, Malaga, et al, their presence is subtle, far from the overload poor little Mallorca is experiencing. With a mix of rugged, rolling hills, huge breathtaking valleys, and switchback-laden mountains, this South-Esatern section of Spain is breathtaking, in a sort of barren and arid sort of way. Everywhere feels so natural and unkept, nature has been left to do its thing, and the towns and villages look like they’ve not changed for the last 50 years. Despite this, the roads are immaculate; easily up there with those of Mallorca for smoothness. And on the topic of roads – the mainland of Spain is a proper network of roads, with mazey lanes connecting the sleepy towns and villages that have popped up in seemingly random places. Much like the riding in the UK, there’s a wealth of options as to which roads you ride on any given day, and you’re not bound to riding the same routes time after time, creating those typical shaped maps in Strava that betray a ride in Mallorca. Being a mainland location, and not a tiny island, the weather is more predictable in Southern Spain. Sure, rain is rare in Mallorca, but it’s even less likely in Andalucia et al, somewhere notorious for its guaranteed sun and clear skies. A tiny mountainous island such as Mallorca is inherently vulnerable to the whims of whatever the weather decides to throw at it – take, for example, the horrific weather Team Sky recently experienced there in an early season camp. However, a continental land mass has an element of predictability in its climate. Team Sky enjoying Mallorca during a recent winter camp. Mainland locations such as Denia and Calpe have long been favourite destinations for Pro team camps and enthusiastic idiots such as myself, however, you wouldn’t be able to tell. The rugged hills and dramatic coastlines of Southern Spain feel so wonderfully empty. Riding in the area in Spring, you’ll see riders out and about, perhaps no more than you might in the UK on any given weekend, but you’re more likely to see locals, fully bundled up in deep winter-wear even in the balmiest of temperatures, rather than the hordes of Rapha clad Brits and Germans touting their Bora-Hansgroe kit. Deep in the mountains of Southern spain, the world is almost unnervingly desolate. I’ve been riding there and seen literally nothing – no cars, no people, no houses – for up to an hour at a time. You feel like you’re in another time, another world. Whilst I’m more than comfortable riding deep into such unchartered waters, I can fully understand why some may have their reservations of course. For me, this element of escape and sense of exploration is one of the things I love about a bike, that sense that you’re the first person to ever experience that stretch of road (of course, you’re not, but you know). And riding in these desolate locations has the added bonus that, when you do stop in one of the infrequent shops or cafes for a costada and café con leche, the food is authentic, and your custom is welcomed – you feel like you’re actually contributing to a community, and not just another idiot clattering around in cleats, getting in the way of the staff, like you sometimes feel in Malloraca. OK, so Mallorca has Sa Calobra. For sure, it’s a very cool climb, both to ride and look at. It’s always fun due to its constant swooping bends and dramatic scenery, and of a length and gradient that makes it great for efforts. 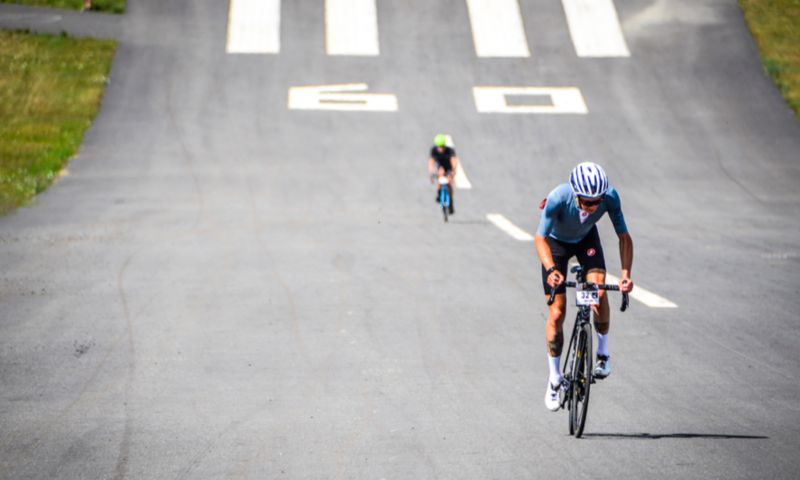 However, unless you ride that infamous road at about 9am, you’re not going to get a clear shot at it, as you’re almost guaranteed to ride into the back of a bus that’s got stuck on a switchback, or a banker on a Dogma that’s pulled up wheezing on the side of the road. If you want ‘bucket list’ climbs, try the beautiful curves and dramatic backdrop of Val D’Ebo in Pego (near Denia) https://www.strava.com/segments/632479, the Pico Veleta, the highest road in Europe, a 43km monster starting in Granada and climbing to over 3,000m (I think this is the majority of it, but not 100% – https://www.strava.com/segments/2091031), or a personal top 5 climb, ‘The Mines’ climb from Almegijar (Andalucia – https://www.strava.com/segments/637349), with it’s ever changing scenery and terrifyingly barren final stretches. I implore you to remember; SPAIN IS NOT AN ISLAND. Booking a Spring training camp? Open your eyes to some of the wonders just over the water from that tiny island and go explore. Tom Kirk / Custom Cycle Coaching – Orgiva, Andalucia. Orgiva is an incredible sleepy town in the Alpajurra mountains, totally untouched by tourism. With the outskirts of the Sierra Nevada to the North, and expansive plains and the coast to the South, the riding is as varied as you could wish for, and, this far south, the weather is great, even in February. The camps are small, simple, and super-fun. You’ll come here and make friends, guaranteed. And you’ll want to come back. Tom has been running camps out of this loation for many years and knows it like the back of his hand. As an ex-pro racer and highly regarded coach, you’re sure to receive great guidance on technique and training whilst you’re with him too. A bigger set up than Tom’s above, but equally friendly. Denia is a bigger base and more of a recognised base – this is perhaps a good option for more novice / relaxed looking for a bigger camp where there is ability to choose between groups of different pace and the riding is generally ‘easier’ (although a bike ride is only as hard as you make it, right?). John Fegan, Mr Train In Spain himself, has a great fleet of experienced guides at hand, and seemingly knows every single road within 150km of his coastal base. Though routes are provided / suggested for every day, if you want to ride solo, he can help you build a route that will perfectly match your exact needs. He sorts out some great apartment accommodation for you to stay, and the rides are all based out of his great little cycle cafe just down the road, where you can get a cafe con leche whilst you top up on last minute tubes and nutrition. Previous PostPrevious Overcooking and Under-Eating: A Cautionary Tale.